I won't cheapen the Story Recommendation of the Week by giving one to myself, but I will at least pause to note that my story Losing Your Grip has been posted in the February 2011 issue of Linger Fiction. Check it out! This is my third fiction sale, and my second publication, since Writers of the Future, Volume XXVII isn't out yet. Will there be more??????? The Fourth Quarter results for the Writers of the Future contest have been released -- apparently the judging for this quarter was hurried along to accommodate moving the award ceremony up to the spring, so this quarter's finalists were deprived of the pleasure of waiting month after agonizing month for their results. Huge congratulations to Jeffrey Lyman, Patrick O'Sullivan and Adam Perin. 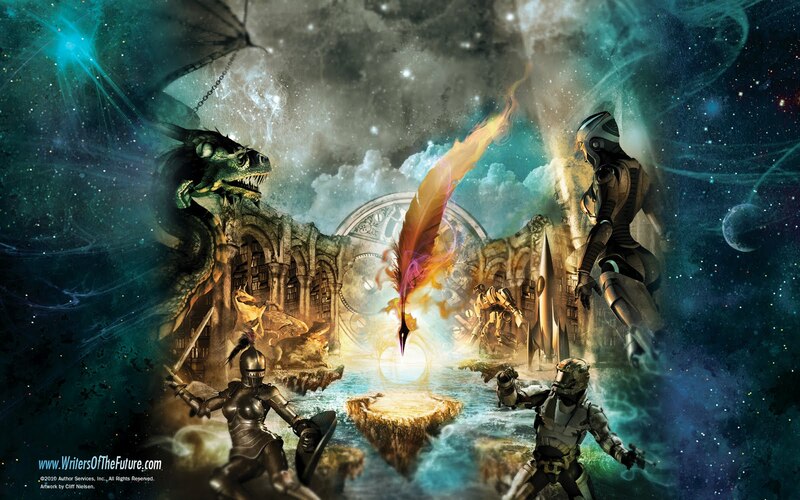 I'm looking forward to meeting you at the Writers of the Future workshop this spring. New on Fantastic Reviews is Aaron's review of Shades of Milk and Honey by Mary Robinette Kowal. "It's refreshing to see a fantasy novel based on Jane Austen that takes Austen seriously, rather than merely as fodder for a goofy parody like Pride and Prejudice and Zombies and all its imitators. 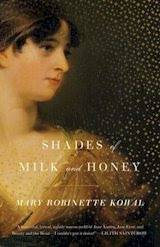 Shades of Milk and Honey, the first novel by Campbell Award winner Mary Robinette Kowal, is part fantasy, part romance, and all Jane Austen homage. It should appeal to every Austen reader and to anyone who enjoys light fantasy or romance; zombie fans may stay away." "Shades of Milk and Honey takes place in an alternate version of Regency England, where one can learn to use "glamour" to create impressive optical illusions, such as bringing indoors all the images and sounds of a beautiful garden complete with birds and waterfalls. In this universe, glamour is nearly always employed for artistic effect and seldom used for military or commercial applications. British society as a whole is little changed by the existence of glamour...."
My story recommendation of the week is for A Game of Lost Boys by Aaron Polson, from the January 2011 inaugural issue of Linger Fiction. The ten-year-old protagonist of "A Game of Lost Boys" is still coming to grips with the loss five years earlier of his father, missing in action in Vietnam. Now his orphaned best friend is moving away, transferred to a different foster home. On one of their last nights together they wander a dark forest, trying to spook each other with scary stories, but the tales begin to strike too close to home. I've read plenty of tales of mysterious, frightening things in the woods, but this one works particularly well because Polson brings it to a personal level. He conveys the parallels between the characters' boyish fears and their personal losses very effectively. Aaron Polson has been publishing fiction for only a couple years, but has already sold short stories to Blood Lite II, Apex, Shimmer, and many other publications. His horror novel Loathsome, Dark and Deep is recently out from small publisher Belfire Press. Linger Fiction is a new webzine, which I have a self-serving reason for promoting: the next issue will contain a story of mine. But I gladly admit that Linger must have lowered its standards for me, since my story has nowhere near the emotional impact of "A Game of Lost Boys."